Now that it has been a few weeks, I am beginning to finally wrap my head around all the awesomeness that was Alt Summit NYC 2013. I mean, c’mon, the event was held at the offices of Martha Stewart Living Omnimedia, need I say more. YES! Yes, I MUST say more. ALL OF IT. There’s. Just. So. Much! I have you a quickie in pics, but below is the meat and taters, so grab a drink & get comfy, its a doozie. As I walked into the bright white space, I was greeted by nothing but smiling faces, beautiful pastry, crafting and PURE INSPIRATION. We were in Matha's House. No more playing around. Grab your buttons and swag at the door babes, it's going to be quite the day. Let me back up a moment. The lovely Flipboard team hosted a bunch of us for dinner the evening before, and what a great time it was. I cannot lie to you, I was nervous. Who am I, just some biddie that loves to create pretty things and share them with you, but this event was going to house some of the most talented, inspiring bloggers out there. At dinner, I met the lovely Heather of Get Married and Nina of Life in Pictures 2013, who I hope will now be friends for life, the people in which I laughed so hard my stomach hurts just thinking of it, who were my roll-dawgs the entire time, and who I could now not picture the event without. I went to Alt with a few goals in mind, but one of the most important for me was growing my blog tribe, and I couldn’t be happier on who I found. From the delicious food, to the amazing vibe, the creative business cards and fantastic after party on a roof overlooking Manhattan at sunset, Alt Sumit NYC had it all. Ok- back on track, back to the event. There was crafting (obvs). We whipped up some bath scrub was made with Bramble & Berry. Power sisters, Sara Urquhart and Gabrielle Blair, joined by Kate Schoening let nothing hold them back when creating this event. The quality of speakers is unparalleled. I was in awe from start to finish. Grace Bonney of Design*Sponge, who I had met (and loved) at the Valentine’s Day Brunch I attended, shared some real-world words of wisdom. She imparted such knowledge, so openly and honestly, never have I been so touched by ones words. The advice Grace shared doesn’t only apply to blogging, but life as a whole, so listen up! Rise to the challenge. / Don’t fight the trends. / Everything is up for grabs. EVERYTHING. / Adapt to change. / Avoid pride and negativity. / Focus on the big picture. Every change, every trend, EVERYTHING must be viewed through the lens of your brand. BLAZE YOUR OWN VERSION OF A PATH. Actually make it happen. Break bigger projects into small steps. There will be kick back. There will be silence. Do not waiver based on others fears. Always be learning. Always be streamlining. Always be teaching- you can’t hold onto knowledge and continue to move a community forward. She even gave us home work, which I need to get started asap (sorry Grace) and i think you should all give a go too! Kickstarting your big change/ Write down your biggest fear. Write down your biggest goals. Attempt both within a rejection therapy challenge. / Take the first step and then share it. 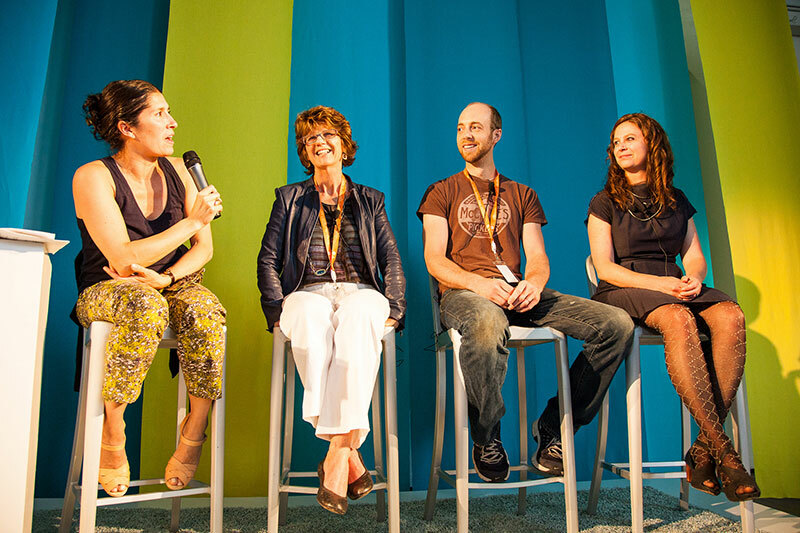 The next set of speakers were the some makers from Martha Stewart's American Made program, Kathleen King of Tate's Bake Shop, Bob McClure of McClure's Pickles and Stephanie Housley of Coral & Tusk (who we spoke about last week here on the blog, I’ve got a total girl crush). What did we learn there? Get out of your own way. / Identify your weaknesses. / Set a goal- You can’t drive a car if you don’t know where you’re going. This gem above is Keenan Cummings, who just may be one of the sweetest, genuine, emotional men I have ever encountered. Simmer down ladies, he is taken (unfortunately not by me). My fave quote by him? I had a kid a year ago and have been crying ever since. 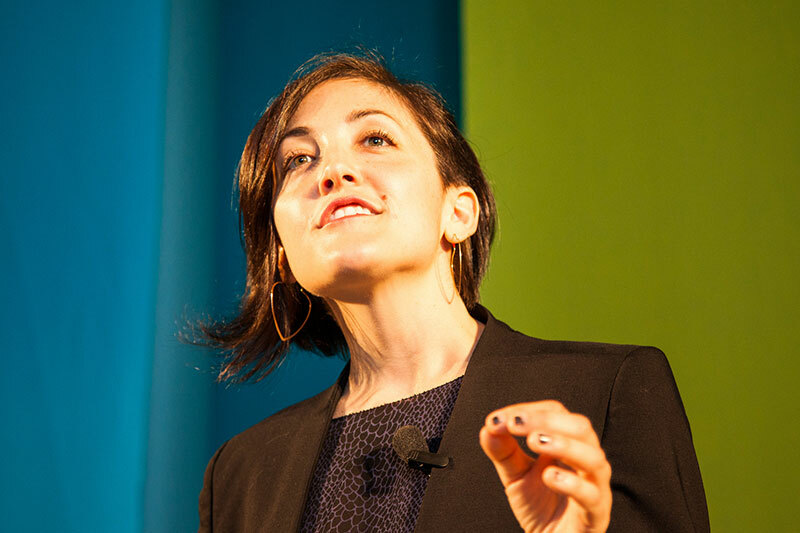 Unfortunately, I cannot possibly recap ALL of the speakers, we are talking about a FULL DAY OF INFORMATION HERE KIDS so let’s skip ahead to the fabulous, hilarious, adorable, Garance Dore. Not only is she a killer blogger and illustrator, she is so damn funny and cute, I wanted to stick her in my pocket and take her home! She gave an amazing speech, stopping herself to recap what she was saying after each point with a little giggle. Here are some pearls of wisdom from the darling Garance for you. People with the weight of the world on their shoulders weigh you down too. It is important to observe, but not always to react. Branch out (but stay on the same tree). Prove yourself every day (for the rest of your life). What you say no to is as important as what you say yes to. Ummm did i mention MARTHA WAS THERE. If you look closely you can see me in the crowd in the second row! I KNOW, SO MUCH, TAKE YOUR TIME, ABSORB IT. I look forward to reviewing my notes OVER AND OVER again and learning a bit more each time. I’ve got some thinking, planning and embracing to do. What are your key take aways here that you can apply to your life?